By Joseph Jayanth on Flickr. Some rights reserved. Before we close the Journalism.co.uk office for the Christmas holiday period we just want to wish all our readers a happy Christmas. We’ll be back on Thursday 2 January and look forward to an exciting year of digital journalism innovation ahead. We have lots planned for the coming months, including our journalism social on Tuesday 11 February and our digital journalism conference news:rewired on Thursday 20 February – we hope to see you there. 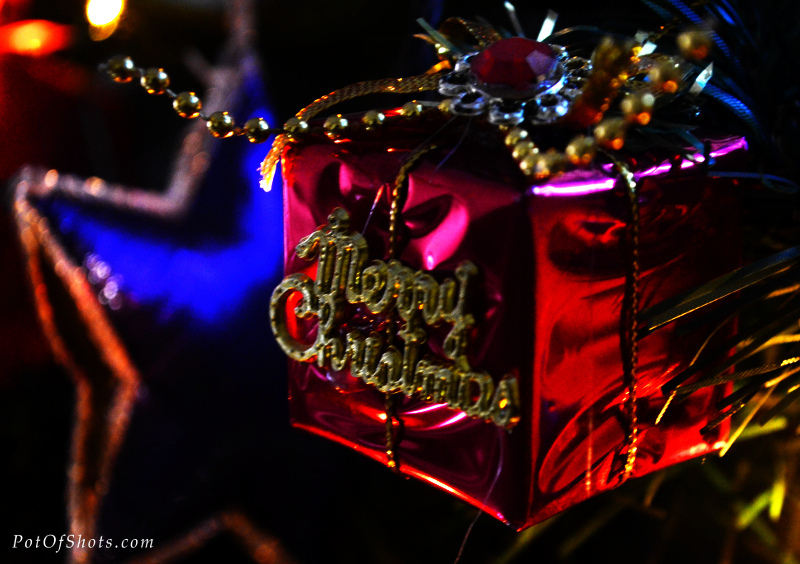 In the meantime, have a lovely Christmas and very happy new year celebrations. This entry was posted in About us and tagged Christmas, Journalism. co.uk, new year on December 24, 2013 by Rachel Bartlett. 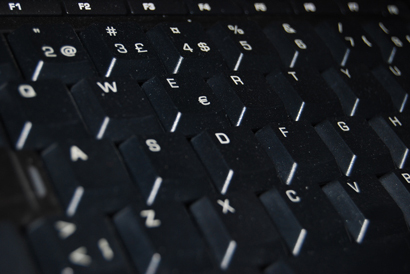 Did you know that Journalism.co.uk organises one-day, evening and online training courses? We provide new skills to trained journalists. We are aware that we all need to keep learning, so we offer intensive and practical training in areas such as data journalism, social media and online video. Rather than bringing in trainers who spend little time in a newsroom, we like to invite people to lead courses who are working journalists or who spend a large proportion of their of their time practicing a key skill. And as our trainers are professionals taking a day out of their normal schedule to share their skills, these courses don’t take place very often. It is the first time that we are offering courses run by Luke Lewis from BuzzFeed and by Glen Mulcahy from Irish broadcaster RTE. We have a great line up for September. You can click the links to find out more. Paul Bradshaw is a data journalism expert and is running this course which will get you started in dealing with data. You’ll be able to use data as a source of stories and learn how to present information online. Paul divides his time between being a visiting professor at City University, London, course leader for the MA in Online Journalism at Birmingham City University, and a freelance trainer, speaker and writer. He founded Help Me Investigate, a platform for crowdsourcing investigative journalism, and the Online Journalism Blog. Luke Lewis, the editor of BuzzFeed UK and former editor of NME.com, is leading a course on growing social media communities. Interested in finding out how to make your posts go viral? Then sign up to the course. This course has a great venue too. It’s being hosted by VICE UK in Shoreditch. Glen Mulcahy has been key to introducing iPhone and iPad reporting at Irish broadcaster RTE. In this one-day course he is leading you will learn how to shoot and edit broadcast-quality footage using an iPhone or iPad. This course is taking place in the building in London Victoria which is home to MSN UK and Microsoft. Kathryn Corrick and Ulrich Atz are experts in open data. This course takes place at the Open Data Institute, which launched earlier this year having been founded by Sir Tim Berners-Lee. This course is designed to provide journalists with an introduction to open data. Adam Westbrook is a multimedia producer and has been a key voice in the development of online video. He is running a one-day course in which you can learn how to shoot and edit video. Cameras and an editing suite are provided. Courses cost £200. If you would like to discuss these or any other courses (there’s a full list here) speak to Sophie Green on 01273 384293 or or email sophie (at) journalism.co.uk. 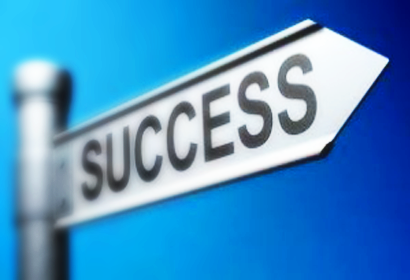 We also arrange in-house courses. A one-day course for 10 people costs less than £1,500. To find out more call me (Sarah Marshall) on 07957 121028 or or email sarah (at) journalism.co.uk. This entry was posted in About us, Training and tagged Data journalism, journalism courses, online video, social media, Training on July 31, 2013 by Sarah Marshall. 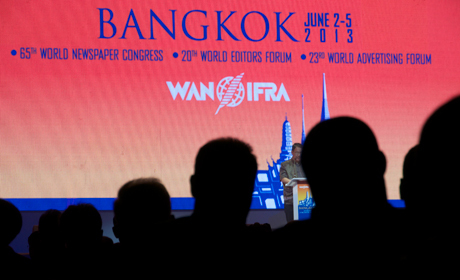 This afternoon I gave a presentation at the World Editors Forum in Bangkok. Here are my slides, notes, and links to further examples and resources. My name is Sarah Marshall and I am technology editor at Journalism.co.uk, a news site reporting on innovations in the digital news space. We run a digital journalism conference called news:rewired. The title of this talk is ‘new wave storytelling’ and I want to talk to you about why we should be ‘thinking outside the box’. So what do I mean by the box? Take a look at these three news stories – about David Beckham’s retirement. What do you see? Remove the mastheads and they all look the same: picture and text or video and text – each one uses inverted triangle way of telling a news story. Where magazines use powerful images and text to tell stories, the technological limitations of the digital space – and the CMS – mean that stories are generally told in within a box. More recently we have seen that box opening up, news sites have been moving beyond the article, they have been breaking article boundaries. We are seeing new innovations in web-native storytelling. The most famous example is Snow Fall. Snow Fall is an immersive reading experience. It is about a deadly avalanche which claimed the lives of three very experienced skiers. It is a 17,000 word feature told with the help of videos, moving graphics, picture slideshows, the recordings of 911 calls. John Branch, the sports reporter who wrote it, won a Pulitzer for the words. It took six months. John worked alone for one month, and then the second month was working alongside a videographer and photojournalist. His bosses at the New York Times saw the potential to make something extra special. During the six months while Snow Fall was being worked on, there were some pretty major news stories to cover: the Olympics, Hurricane Sandy and the presidential elections. Six months on and it has been tweeted 10,000 times. And it’s has been shared more than 77,000 times on Facebook. And the average time on site? 12 minutes. Any of you who check analytics on a daily basis will know that’s a lot. Now if you have read Snow Fall, you will know that it takes a lot longer than that. It took me about two or two-and-a-half hours. So arguably a lot of people just looked at the whizzy graphics and fewer people went on the full journey. Plenty of digital column inches have been written about Snow Fall. There has been criticism – and there has been praise. Om Malik called it “one of the first truly post-tablet reading experiences”. And it is interesting he said tablet. That, I would argue, is the best place to read Snow Fall. It makes you want to press play on the videos, on the audio, it makes you want to scroll. And am I going to spend two-and-a-half hours sitting upright looking at my desktop? Before we come onto some other examples, let’s think about how well the multimedia presentation works as a storytelling device. Have you ever been to an art gallery or museum and not known whether to first look at the art or artefact or read the caption? I was conscious that this might be the case with Snow Fall. Should I read to the end of the next paragraph or play the video now? A decision can be disruptive. But for me Snow Fall did a pretty good job. In the same way a well-curated museum or gallery will lead the viewer by the hand, Snow Fall too achieved this on the whole. And design is hugely helpful. Aron Pilhofer from the New York Times mocked up what Snow Fall would look like if it was presented in the usual format. You can see why design matters. The New York Times may have received much of the attention, but there are now lots of examples of news sites telling stories out side of the box. Here is how the Guardian launched Guardian Australia last week. This is Firestorm, a multimedia project which provides a seamless and immersive experience. It’s about a bushfire in Tasmania which destroyed a family’s house. They saved themselves by getting in the water under a jetty. The Guardian has done a fantastic job here. Remember how I talked about the gallery or museum experience and having to decide where to go next? The Guardian leads the reader through, taking them on the journey. This example is from music site Pitchfork. You’ll be starting to see by now that there are some common features of these ‘beyond the article’-type stories. There’s often moving graphics, there is video, attractive typefaces. And this is an example from the Chicago Tribune. And here we have ESPN. Another common trait is that these multimedia presentations are all long-form, thousands of words, probably because of the investment of time in coding, they’ve chosen in-depth investigations or features. All of the examples we have seen so far are how they appear on a desktop. But I said earlier, perhaps the reader wants to lean back with a tablet device or perhaps read on their a mobile. It is more problematic on a tablet, particularly on 3G where it is jumpy. And if you view this story on a mobile, you are delivered a simple, single column story. Pitchfork’s audience is young and highly mobile. Therefore a proportion of the audience will not be getting the full experience that Pitchfork has invested in. But I don’t want to be too critical of those innovating in the newsroom. Elsewhere and the Washington Post recently published a multimedia story called The Prophets of Oak Ridge. It has been designed for desktop, tablet and mobile as the site is fully responsive. So I know what some of you are thinking. How does this digital stuff – which may take 6 months to build and require designers, developers, photojournalists, videographers, oh and someone to write the tens of thousands of words – pay for itself? You might have noticed that Snow Fall includes advertising – including advertising a subscription of the New York Times. Om Malik has argued that it would be better to have Land Rover ads in there or something more topical. Those of you here who are responsible for the bottom line probably understand why that decision was taken to put ads in. But when Mark Thomspon, chief executive of the Times saw Snow Fall he did question the decision. And of course what the New York Times got was an amazing branding experience. More than 10,000 people were tweeting, most of them saying how amazing this thing was that the New York Times had created. So arguably you can keep such a presentation outside the paywall, leave ads out and use it as a branding opportunity to show the news outlet’s potential. You could of course do it in conjunction with sponsorship. But a ski company or Land Rover? It might jar. After all, Snow Fall was reporting on an accident and three people died. Elsewhere and the Washington Post has opted for a pre-roll ad. And the Chicago Tribune uses multimedia to entice new subscribers. This one is outside the paywall, but readers are promised more of the same if they sign up and pay. And the Guardian and New York Times are selling Firestorm and Snowfall as ebooks. So, I bet some of you are thinking, “it’s all very well the Grey Lady spending six months on Snow Fall, but they are the New York Times and have the staff and the money”. It will no doubt get easier and quicker to create such stories which break article boundaries. Indeed the new Newsweek site – NewsBeast – is said to follow this type of design. In fact there are more DIY options already available. This is Scroll Kit, it’s like InDesign for the browser. You can drag images around, videos and create a multimedia experience with no coding skills. There’s also a tool which launched last month called Soo Meta. And I want to leave you with a final thought. What have these three things have in common? A Black and Decker Dustbuster, memory foam, and, this may give it a way slightly, it’s freeze dried ice-cream. They were all spin-offs or by-products of NASA inventions. So my final thought for you, and it is actually not my own but one suggested to me by Benji Lanyado, a journalist and freelance creator of such visuals and multimedia products. His view is that if you spend the time, effort and resources one one project and start thinking beyond the article, you’ll be able to re-use some of the code, you’ll be able to create other such stories more easily and quickly – and there will be other spin-offs for your news outlet. Thank you. I’m sharing a link here. I’ve put together a list of stories – such as Snow Fall, Firestorm and there’s one from The Verge – which you can explore. This entry was posted in Multimedia and tagged editors13, presentation, snow fall, WAN-IFRA on June 4, 2013 by Sarah Marshall. Data journalism is not a new phenomenon. Speaking at the International Journalism Festival in Perugia, Steve Doig from the Walter Cronkite school of journalism highlighted this by talking about the impact of the rise of the personal computer in the early 1980s and how this helped journalists track “patterns” in the data they were getting hold of. Before this technology arrived, such reporting was “often based simply on anecdotes”, he said. Giving the example of covering “the problem of drunk driving”, journalists would have previously had to have referenced a “bad example of such an accident” before moving to discuss the “larger problem”, he explained. The nice thing about data journalism is it lets you go beyond anecdotes to evidence. His workshop ran through some of the key features of Excel to help journalists sort, filter, “transform” and “summarise” data. Below is a summary of some of the key points he raised – the full tutorial is available online. When it comes to the most common format of data, Doig said it “tends to be alphabetical”, which will not make it immediately clear to a journalist what the story, or stories, behind the data are. So we want this to be “more journalistically interesting”, Doig said. As an example he demonstrated how journalists can sort numbers by highest or lowest. When it comes to filtering data, he described some particularly large datasets as “forests”, and that journalists “only want to see the trees that we’re interested in”. Using Excel journalists can hide data they are less interested in and effectively keep their work area tidy. 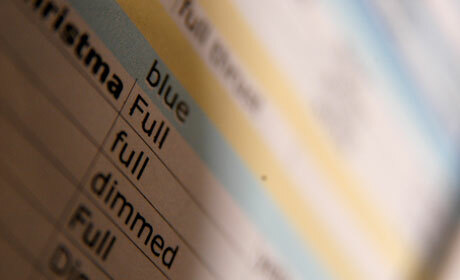 Journalists can also use Excel to “transform data using functions and formulas”. For example, he showed the delegates how to create new variables, such as working out a crime rate per 100,000 people when you already have statistics on population and crime. This then helps the journalist “make fair comparisons between places of different size”. Finally, you can “collapse your data down by categories”. This can be achieved by using pivot tables, which enables the users to select certain variables and bring those together. For example, if you wanted to look at the number of murders by region, but the data is also broken down into smaller geographic areas, you could build a pivot table, select the ‘region’ variable in ‘row labels’ and select the column stating the number of murders and put it in ‘values’. This would combine the number of murders per region. Highlighting some of the key tools for working with datasets, Doig said Excel lets journalists do the majority of the work they would need to, supported by database software like Access, mapping tools like ArcMap, a text editor and social network analysis plug-ins such as NodeXL. And when it comes to visualising the data he pointed to data journalism staple Google Fusion tables, as well as coding language such as Ruby, Django, perl, python. This entry was posted in Data, Events and tagged #ijf13, Data journalism, excel, steve doig on April 24, 2013 by Rachel Bartlett. 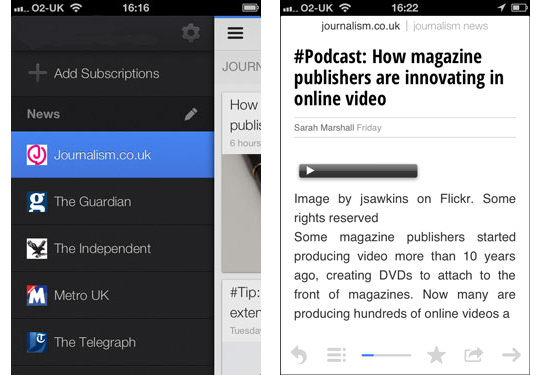 The team behind Google Currents has selected Journalism.co.uk as ‘pick of the week’. And you can now listen to our podcasts from within the Currents app. Our weekly podcasts have been available via the Currents app since last month, when Google officially launched the new audio feature. If you are not familiar with Currents it is a social magazine app, similar Flipboard and Zite, that lets you read your favourite news sites on your tablet or smartphone. The app is available for Android, iPad and iPhone. If you do not already follow Journalism.co.uk on Currents, you will see a recommendation to subscribe to us when you open the app. That will show while we are ‘pick of the week’. You can also find a link to Journalism.co.uk on Currents here. To find out how to get your news outlet’s content on Google Currents see this link or sign up for next week’s news:rewired journalism conference. Madhav Chinnappa from Google will be talking about Currents in the Google tools masterclass. This entry was posted in About us, Mobile and tagged app for journalists, google currents, Journalism. 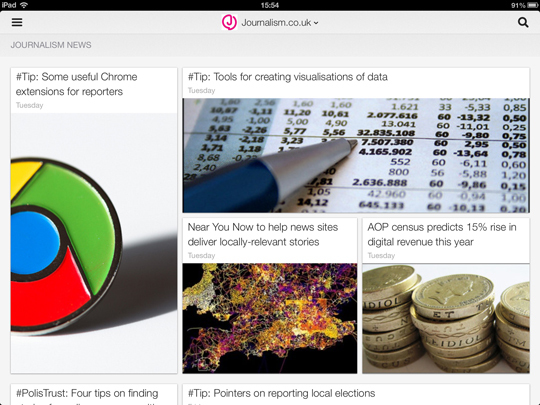 co.uk, social newsreader on April 10, 2013 by Sarah Marshall. Beet.TV has an interesting video with Michael Zimbalist, vice president for research & development, and operations at the New York Times, in which he discusses a new advertising tool called Spark which utilises the Times’s data on stories trending on social media. According to Beet.TV the tool “serves display advertising into stories as they are trending on Twitter, matched with the demographics of the users who ‘touch’ the story on the social network”. In the video Zimbalist adds that the Times has been “tracking mentions of Times content in Twitter for a really long time”. As a result the news outlet has “been able to look at different types of content and different people who spread the content and begin to model out which content will start trending”. This entry was posted in Advertising, Editors' pick and tagged Advertising, beettv, New York Times, social media, trending on February 19, 2013 by Rachel Bartlett. 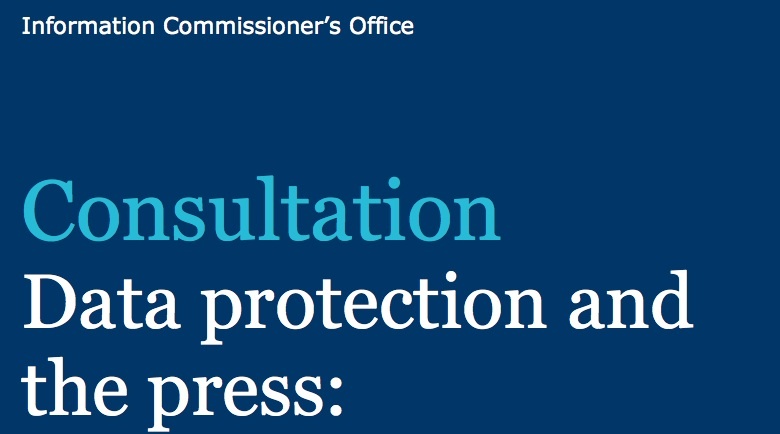 Last week the Information Commissioner’s Office launched a “short public consultation” on proposals for a code of practice for the press in the Data Protection Act. According to the ICO website this follows a recommendation from Lord Justice Leveson for the ICO to “prepare and issue comprehensive good practice guidelines and advice on appropriate principles and standards to be observed by the press in the processing of personal data”. This short public consultation on the likely scope and content of the proposed ICO code of practice is an important first step in ensuring our stakeholders have an opportunity to let us know their views and engage in constructive dialogue to develop a common understanding of how data protection legislation applies to the media. This will be followed by a full public consultation on the code itself. The code will not contain any new legal duties – the purpose of such codes is to promote good practice and observance of the requirements of the Data Protection Act by data controllers. Depending upon decisions by the government about possible reform of the law, this guidance may require further review. However, we accept that it is important to produce guidance now, as recommended by Lord Justice Leveson. Hatip: International Forum for Responsible Media blog. This entry was posted in Data, Legal and tagged consultation, data protection, Information Commissioner, Legal on February 19, 2013 by Rachel Bartlett. The Washington Post and Northwestern University have teamed up to offer a scholarship opportunity to programmers at the university’s Medill School of Journalism, Media and Integrated Marketing Communications. The programme will allow programmers to earn a master’s degree in journalism before a paid internship at the newspaper. Although the Knight Foundation has been supporting the programme since 2008, helping nine people to earn the degree and apply their knowledge in relevant jobs, the Washington Post is the first news industry partner to join the programme. Emilio Garcia-Ruiz, editor for strategic projects at the Washington Post said in a release that programmers have the type of skill set and knowledge that can help to build “new tools and features that can benefit both readers and reporters”. There is more information on the release. This entry was posted in Journalism, Training and tagged programming, Washington Post on February 1, 2013 by Alastair Reid. Twitter’s latest expansion into social media arrived last Thursday in the form of micro-video sharing app Vine, allowing users to create and upload six-second videos to be shared and commented on. Teething problems aside, users have been creating stop animations and how-to guides alongside sport round-ups and animal GIFs. But could Vine become a serious journalistic resource? Or will it simply be another addition to a long line of internet distractions with a few diamonds in the rough? Commentators have been giving their opinions on the matter. 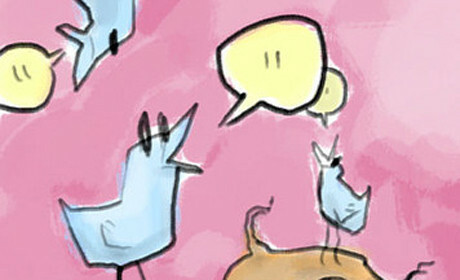 Scott Klemmer, co-director of the Human-Computer Interaction Group at Stanford University told Wired that, based on the enthusiasm for Twitter, the results will be positive from a creative point of view and “people are going to do really cool things”. One of the things we know about creativity is that constraints are essential for getting people to do creative stuff. If you come up with the right constraints that’s a benefit, not a drawback. And nobody knows that better than Twitter, where their 140-character constraint really created a whole new medium in a lot of ways. UX expert and blogger Martin Belam dismisses those who don’t “see a purpose” in Vine, insisting that there is as much fun to be had in the process of creation as in browsing the product. I do rather wonder, if you are looking at a bunch of random video clips that weren’t directly shared with you, and they don’t meet your content expectations, whether the problem might be your expectations, not the service? Poynter recognises the potential for growth in that videos have more potential for realism and engagement, drawing people closer to the story or news event being reported, as Jeff Sonderman writes. Think of the impact Twitter has made so far on real-time reporting, making everyone, everywhere, a potential instant eyewitness who can share text or a photo with the world. Now think of how that effect is amplified when the public can easily start sharing videos of the same events. At Sonderman points out, it also means it is much harder to for videos to be faked, especially when it is considered that Vine is only available to smart devices and videos can only be uploaded straight to the server, rather than saved remotely and tampered with. This entry was posted in Social media and blogging and tagged Twitter, vine on January 28, 2013 by Alastair Reid. Social news agency Storyful has published an ebook on social newsgathering. It has been edited by Claire Wardle and includes articles previously posted on the Storyful blog. The ebook is in PDF format and is free, allowing you to learn things such as how to spot a fake or hoax image, how to verify content from social media, and how and why your should use Twitter’s own version of TweetDeck. The Storyful blog has become one of our favourite tips sites, with practical advice shared by working journalists on how to get the most out of social newsgathering. Save this PDF to your tablet or phone and your next train journey will be an educational one. If you have a tip you would like to submit to us at Journalism.co.uk email us using this link. This entry was posted in Social media and blogging and tagged journalism tips, social newsgathering, Storyful, Top tips for journalists on January 25, 2013 by Sarah Marshall.